What do you get when you take a mixture of sources from the turn of the 20th century and sling them into a blender? 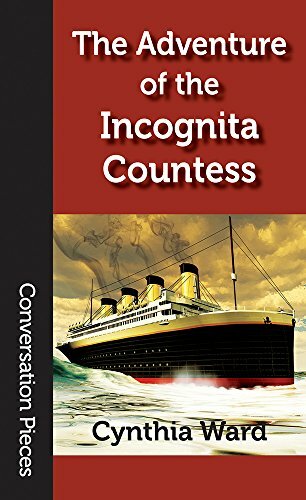 Well, you might get something very much like the “The Adventure of the Incognita Countess.” Cynthia Ward takes from a variety of different sources, including CARMILLA, DRACULA, SHERLOCK HOLMES, and TARZAN to tell a tale of Titanic, German and English spies, vampires, and Martian super science after their failed attempt at an invasion. Suffice to say, having a grounding in the references Ward makes adds an element of enjoyment to the story, but if you are a relative neophyte, she still crafts an engaging story sure to delight fans of pulp. The twist in that the main character is anything but a lantern-jawed hero. Instead, we are treated to a young woman who happens to come from a rare parentage and exquisite schooling. She also happens to be an agent of the British Empire. One of the standouts is that, while it has plenty of action, there is an undercurrent to it as well of how people judge others. One of the key plot points to the story is whether vampires (and by extension, other monsters) possess souls, and whether they in fact are still, in essence, human. It is this plot point that drives the majority of the conflict in a way that more classic pulp would miss for its nuance. One of the few places that the story faltered was that, as a result of it being a first-person narrative, there are times when the action comes second hand, a secondary character relating to the narrator action that happened. While understandable, it does put further distance between the text and the reader, and, as a result, the action doesn’t come across as nearly as immediate as some of the other scenes. Overall, however, if you enjoy pulp, and like your heroes to come with an edge, then this is a novel for you. Cynthia Ward will have a story in Issue 8 of Broadswords and Blasters (January 2019). This entry was posted in Pulp Consumption and tagged 20th century, classic pulp, cynthia ward, new pulp, novel review. Bookmark the permalink.